All wineries growing grapes on Mainland BC and/or purchasing grapes for processing from growers on Mainland BC are required to remit a levy of $10.00 per short ton (2,000 lbs.) to the BC Wine Grape Council on an annual basis. While wineries on Vancouver Island and the Gulf Islands are exempt from remitting levies on their own grapes, they do still have to deduct and remit levies on all grapes purchased from Mainland BC. All levies are subject to applicable taxes. This mandatory levy was established under the Farming and Fishing Industries Development Act in 2006. Custom crushing and processing facilities who take possession of the grapes are responsible for collecting and remitting the levies. Where these same facilities are processing grapes on behalf of a licensed winery, the licensed winery is responsible for collecting and remitting the levy. What are the levies used for? The fund collected from the levies is intended mainly for research and development and educational projects; as well as other purposes such as to liaise with government agencies and other organizations regarding water, pest, land, and air issues. The deadline for reporting your tonnage is December 31. As of the 2018 vintage all levy invoices are payable upon receipt. What if I don't report my tonnage or pay my levy? The levy is a mandatory program established under the Farming and Fishers Act. 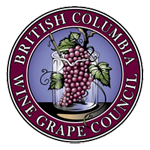 If you do not report your tonnage the BC Wine Grape Council will estimate your tonnage based on your production volume and invoice you according to the estimate. If you do not pay the levy invoice it will be sent to a third-party collection service. 2018 Tonnage Report Template and Letter to All Wineries can be downloaded in the links below. REPORT YOUR TONNAGE ONLINE! CONTACT INFO@BCWGC.ORG TO REQUEST YOUR ONLINE MEMBER PORTAL ACCESS.